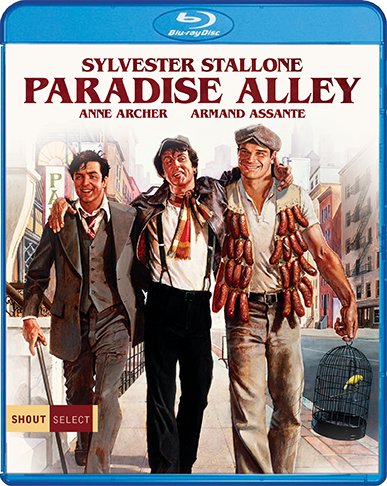 Cosmo Carboni (Stallone) and his two brothers could take anything that Hell's Kitchen had to dish out — but they had a dream of getting out and making it big. The exit signs point to Paradise Alley, a sleazy private club where raucous wrestling matches with big purses are the order of the day. When younger brother Victor (Lee Canalito) steps into the ring, it appears their shared dream might finally become a reality ... but tensions between Cosmo, Victor, and brother Lenny (Armand Assante, I, The Jury) might rip the family apart first. 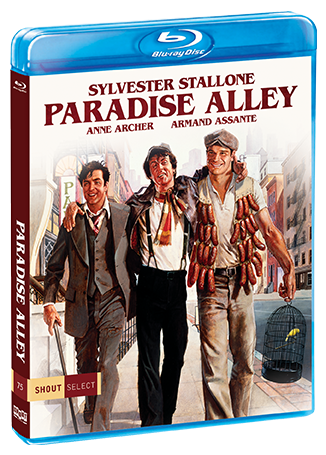 Marking the directorial debut of Stallone, co-starring Anne Archer, Joe Spinell, and Tom Waits, and featuring appearances by a roster of legendary professional wrestlers (including Terry Funk, Ted DiBiase, and Ray Stevens), Paradise Alley is "an upbeat, funny, nostalgic film populated by colorful characters" (Variety)!